BOOTHS REAL OLD WILLOW. BOOTHS MADE IN ENGLAND. ROYAL DOULTON. Real Old Willow. Large open sugar bowl. Under glaze Mark. Silicon China. Made in England. make Supersized seem small. A BEAUTIFUL BOOTHS REAL OLD WILLOW WARE SUGAR BOWL WITH LID & MILK JUG . FULL CLEAR BOOTHS WARE MARKINGS TO THE UNDERSIDE BASES. A LOVELY SUGAR & MILK JUG SET SOLD IN VERY GOOD CONDITION ! Printed underneath in brown with a crown symbol and: BOOTHS MADE IN ENGLAND A8042. Hand painted underneath in red with: 'Floradora'. Impressed underneath with: MADE IN ENGLAND. Floradora design with flowers in pink, blue and yellow, with green foliage and teal scrolls. Booths Real Old Willow 8025 Milk And Sugar Bowl Jug Gilt Edge Antique Plus Dish. Condition is Used. Dispatched with eBay delivery – Shutl 2-3 days. From an unknown Staffordshire factory. Dates to circa 1870. Floradora design with flowers in pink, blue and yellow, with green foliage and teal scrolls, around outside and inside. Printed underneath in purple with: BOOTHS SILICON CHINA "FLORADORA". This lovely old earthenware sugar basin was made by Booths in Tunstall, Staffordshire between 1891 and 1906. VINTAGE Booths A8025 Real Old Willow XL Sugar Bowl large Pudding Dish? 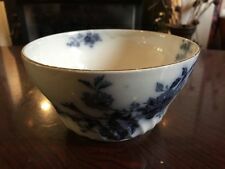 A wonderful vintage Booths bowl their ever popular Real Old Willow pattern numbered A8025. DIMENSIONS : 12cm diameter and 7.5cm tall. CONDITION : Very good vintage condition. There are no chips, cracks or crazing. Booths Pottery Jade Lotus Sugar bowl & milk jug - G Condition. Please see pictures for condition. Real Old Willow. Sugar Bowl. 3" high without the lid. The lid has been broken and glued together. Pattern is Booths British Scenery Made in the UK England and style numbers A8024, 6508 and BOOBRSP. Pink Grapevine and Scene. 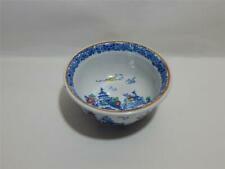 Object Type Sugar Bowl. Item:Sugar Bowl - Open (Tea). Pattern:Real Old Willow - Silicon China. Item:Sugar Bowl - Open. May include seconds. Pattern:Dragon - Turquoise - Gold Edge. Item:Sugar Bowl - Open (Tea).